Pay-per-click advertising has become one of the most effective tools available in online marketing. 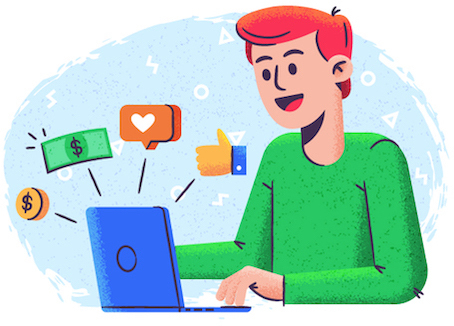 When compared to social media, search engine optimization, content marketing and so on, it stands alone in its potential to see an almost immediate boost in traffic and conversions. Keep in mind, however, that it’s a multifaceted discipline that’s easy to get wrong. If you want to see a more successful PPC campaign, you have to be ready to innovate your approach. Here are fifteen changes you can start making right now to see results. PPC ads work by having you bid on matching specific keywords to your ad. How effective your bid is depends on, among other factors, how much you spend, so you want to make sure that you’re bidding on the right keywords. For Google AdWords, for instance, the Keyword Planner is a great tool that gives you keyword suggestions, letting you research and pick amongst the most effective. 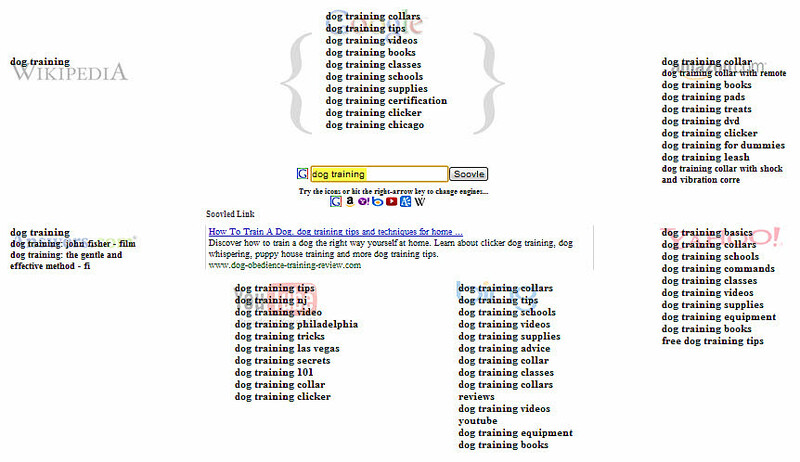 While this is a good place to start, bear in mind that many of your competitors might get the same keywords from Google. If you find any words or phrases that the Keyword Planner doesn’t suggest, then you might have stumbled onto a keyword that your competitors aren’t already bidding on. It’s a solid tactic across all marketing niches and it works for PPC, too. While your keywords should focus in part on the details and descriptions of what you offer, let the actual ad copy take a value-based approach. Don’t think about what the customer literally gets, but rather what value your products and services offer them. How are you going to solve their problem and make their life better? 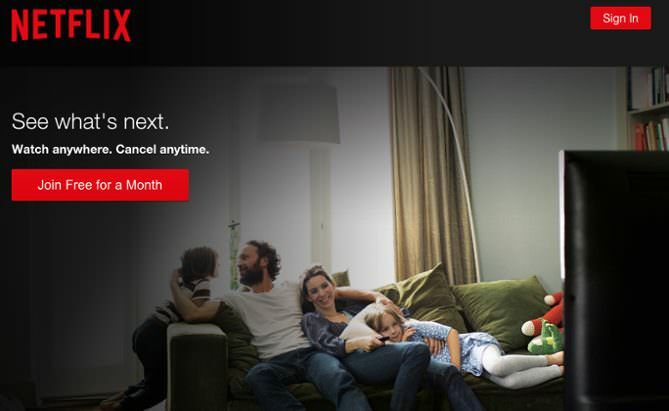 It’s always best to end an ad with a call to action. The main body of the copy should offer the value and make it about the customer. In other words, show why people should use your service. What are they going to get? Your CTA should clearly give the potential convert an actionable next step that the rest of the copy has been gearing them up for. A good call to action also adds a sense of urgency to the ad, like there’s something there for them to capitalize on there right now. Simple calls to action like “sign up” or “download now” or “start my free trial” have proven to be a lot more effective than ads that don’t have CTAs. 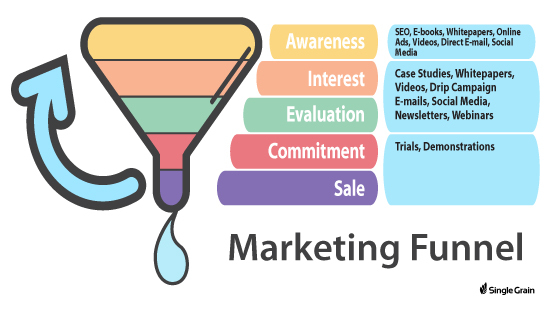 If you’re familiar with the concept of the marketing funnel, then you’re aware that you can convert people who are at different stages in the funnel. The first stage is building awareness and interest, and this is where most PPC campaigns aim for. They use keywords to target those who might not know exactly what your business provides. The closer your ad viewer is to having that purchasing intent, the more likely they are to convert. #5 – Should You Bid on Brands? Some people will say that you should never bid on branded keywords. There is some wisdom in this. For instance, you shouldn’t bid on your own brand. If someone knows your brand name, they can visit your site directly; they don’t need you to pay for an ad to lead them there. However, if you provide products that belong to other brands, then you should bid on those keywords. So if you’re a Peugeot car dealer, don’t bid on your own business brand; instead, bid on “Peugeot cars for sale.” It helps match you up with people who are looking for specific products but who have a variety of suppliers to buy from. Many businesses and individuals stick to short-tail keywords; that is, keywords that are only 1-3 words long, such as “buy Peugeot cars.” This is the easiest way to make sure that you’re bidding to as broad an audience as possible, and likely getting more clicks. However, a long-tail keyword like “buy used Peugeot cars London” is more specific, but it’s also going to appear more prevalently to those specific people who are more likely to convert. 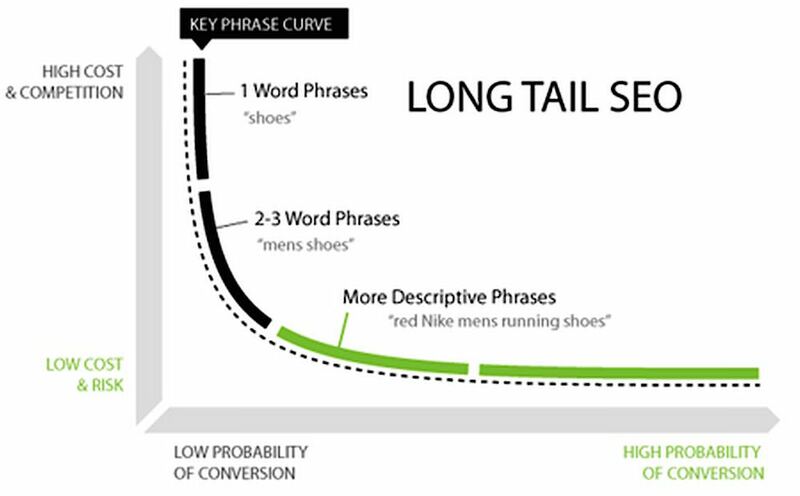 So you’ll want to find the long-tail keywords that apply best to your business. A good way to do that is to look at the organic search results that have led to your web pages in the past. Many PPC platforms have their own standards for what can help you win a bid. It’s not just about how much you’re willing to spend, but the quality of your ads, as well. In AdWords, for instance, this is measured by a “Quality Score”. This takes into account not just your click-through rate, but the relevance of the ads to the chosen keywords and the relevance of the site to the ads. Improve your Quality Score, first and foremost, by making sure that you’re eliminating any keywords for ad groups where they’re not relevant. 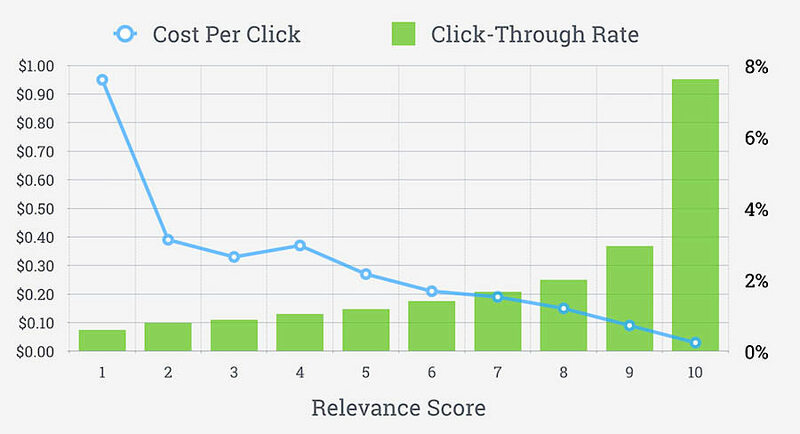 Relevance is a big part of what makes an ad group likely to have a better Quality Score. For that reason, you should make each of your ad groups fit a specific purpose. For instance, if your business provides both social media marketing and search engine optimization services, you could brand them both together in ads for general digital marketing. However, you’re likely to get more clicks and conversions if you create a separate ad group for the social media marketing keywords and for the search engine optimization keywords. Ad groups work best when they have a narrow target. The broader the range of keywords, the more diverse the copy, and thus the harder it is for an ad group to work effectively. You might find that a lot of people are getting exposed to your PPC advertisement, despite not being the kind of web user that you want to market to. For instance, back to the car dealer example: if you sell only Peugeot cars, you don’t want your ads to appear to people who are searching for Mazda car dealers. You can use negative keyword modifiers to make sure that your ad doesn’t appear for irrelevant searches. In this case, you would assign “Mazda” as one of your negative keywords. There are broader categories of keywords you might want to disallow, too. For example, unless you’re offering a free trial, make “free” a negative keyword. Many people might be searching for a company like yours as a place of employment, so if you’re not hiring, make “employment,” “job,” “hiring,” and “career” negative keywords. You should continue to build your negative keyword list over time. This will prevent you from spending money on clicks that don’t lead to conversions. Keep in mind that there are people who will click on your ad with no intent to use your services. 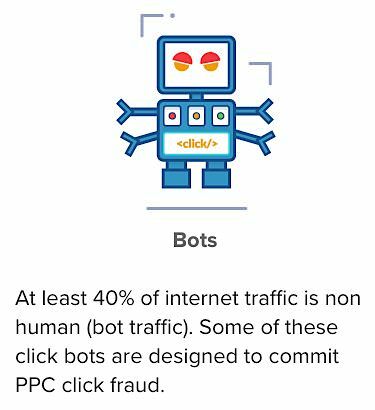 There have been a lot of cases of “click fraud” where, for instance, businesses have clicked on their competitor’s PPC ads several times just to make them spend money without getting anything in return. This could make your PPC campaign much more expensive, so use IP Exclusion to identify those IPs that are clicking your ads without converting. It makes sure that the ad doesn’t appear to those people in future. Just as you create responsive content and a responsive website for mobile device users, you should also create responsive PPC ads for mobile users. For instance, if you’re using social media PPC, then you have the option to include videos and images. Some of those multimedia adverts aren’t going to work as well on mobile and so mobile users won’t click on them. You can weigh ad bids for mobile differently from desktop ads. You can make certain ads less likely to appear on mobile or stop them from appearing entirely. On the other hand, you can make ads that appear specifically on mobile devices. Particularly with search engine PPC like Google AdWords, the physical location of the business can play a huge factor in appealing to nearby web users. 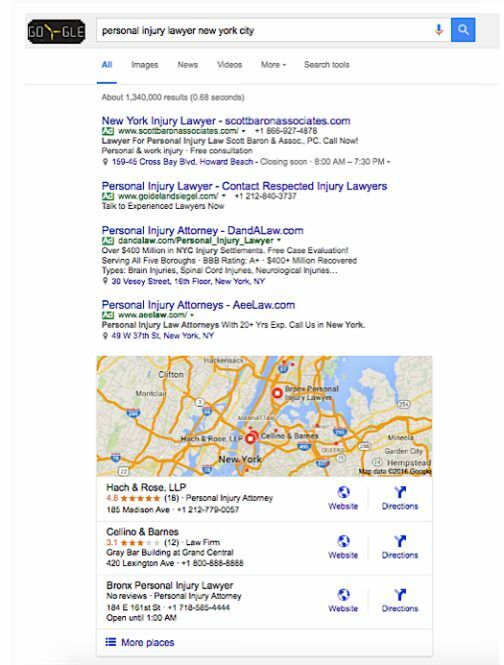 We’ve already gone into how using locations as part of a long-tail keyword ad group can be effective. But if you set location parameters for an ad, people who are nearby are more likely to see it first even if they haven’t searched using the specific location as a keyword. Google has released studies showing how effective location-based advertising can be, but there are still a lot of businesses that simply don’t think to include it. Just as the place matters, so does the time. In online business, we quickly learn that customers behave differently at different times of the day and different days of the week. They might be interested in taking a look at your website on a Monday morning, but they won’t have the time to actually convert then and there. On the other hand, they might be willing and able to spend more time on the site and actually spend some money on a Saturday afternoon. Many PPC platforms allow you to set time and day restrictions on when your ad is going to appear. Let them run all day for a couple of weeks, see when you get the most traffic and conversions, and then narrow your restrictions down to those time periods. Doing so stops inefficient bids and makes sure that people are only clicking when they’re more likely to have the time and inclination to become a customer. Do not waste any money on ads for specific products, services or results that just lead to the home page of your website. When you’re talking about converting visitors, which is essential to seeing a return on investment, you’re talking about making it as easy for them as possible to go straight from clicking your ad to becoming a customer. Use individual landing pages for your ad groups that provide content and calls to action that are specific to the wants of the potential customer. 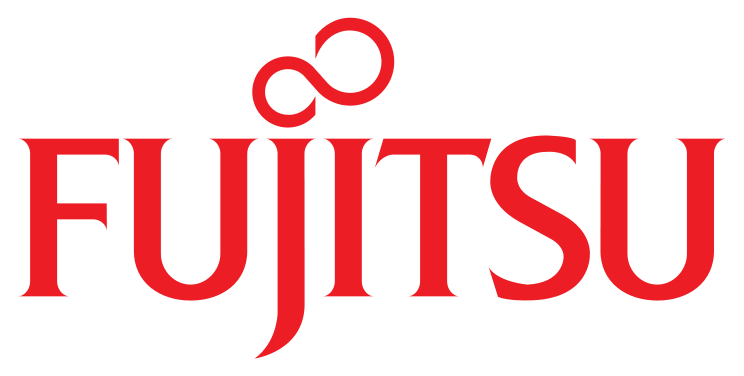 For instance, if you’re selling cars, then you might want one landing page for Peugeot cars and one for Mitsubishi cars. Each one should have its own ad group, its own keywords, and its own landing pages. Otherwise, you add barriers to your potential customer’s path which makes them more likely to give up. A/B testing is important for making sure that landing pages are as effective as possible. Finding the right place to put your CTA, using the right image, and creating the right heading can all change how effective a landing page is at converting visitors. A/B testing allows you try out different versions of the same page to see which one works best. How a landing page relates to an advert should be immediately recognizable to a visitor. The best way to make it appear relevant is to match the content and the web page title with the language used in the copy. You should even consider naturally fitting in the keywords that led the user to the ad in the first place. Not only does it make it more likely that you’ll convince visitors they’re in the right place, but it’s an important part of establishing the relevancy that can directly contribute to your ad group Quality Score, thus making it more likely to succeed at bids. PPC is a field that only gets more rewarding the more effort you put into it. This 15-point list could have easily gone on for another hundred or even two hundred entries, but hopefully these tips serve as a great place for you to start improving your pay-per-click campaigns and seeing a better ROI. Paul Granger is a content writer at WebsitePromoter, a site that helps small businesses and website owners grow their online reach using SEO and Pay Per Click.